WELCO International Services is a Licensed Customs Broker in the United States. Managing thousands of tons of cargo worth billions, WELCO International Services helps companies with their Ocean Freight and Air Imports to the USA. When you contact WELCO for Imports to USA, you work with an expert that knows the most about your type of goods and ensures the Air Imports & Ocean Freight, Customs Clearances, and Deliveries throughout the USA are done right. WELCO provides many Services throughout the United States. Federal regulations require WELCO to have your written authorization to act on your behalf with Customs. This standard form is called a Power of Attorney (POA). The EIN must be verified by a document issued by the IRS. Corporate officers are president, vice president, treasurer, CEO, CFO, etc. Please also provide a document issued by the IRS to verify the EIN. For best results, print on 8½ x 14" paper. Scan or fax the signed and dated POA to WELCO. WELCO will review the POA. WELCO will keep the POA on file. WELCO will setup the client in the Customs computer as needed. WELCO will get your continuous Customs bond as requested. All importers must have a Customs bond. WELCO must have your Power of Attorney (POA) and payment to begin the continuous bond application process. United States Customs requires Importer Security Filing (ISF) for all cargo entering the USA by ship. Importers must submit specific data at least 24 hours before the goods are loaded onto a ship destined to the United States. Failure to file, or even late filing, may result in a $5000 Customs penalty for the importer. WELCO must have your Power of Attorney (POA) to submit the ISF. WELCO handles Customs clearances throughout the USA. The commercial invoice must have the commodity description in English, the seller's name and address, the buyer's name and address, and the purchase price of the goods. Certain commodities require additional information on the commercial invoice. Please check with the appropriate government agency or WELCO. The packing list should show the total gross weight, the total net weight, and the total number of shipping packages. For ocean shipments, an original ocean bill of lading may be required. International Air shipments use a Master Air Waybill (MAWB). Other documents may be required by the United States government depending on the commodity. For example, the Food and Drug Administration must approve the import of foods, pharmaceuticals, medical equipment, radiation emitting devices, cookware, cosmetics, and others. Goods with a trademark must have proper authorization from the trademark holder. Goods must be marked with the country of origin. Please check with the relevant government agency before importing your products into the United States. Then you have no problems. WELCO provides you with regular and reliable updates (because we already have the information). If WELCO is not arranging your Air Imports and/or Ocean Freight, we will provide you with updates on your shipments after we have the Master Air Waybill (MAWB) or Master Ocean Bill of Lading (MOBL). The Estimated Time of Arrival (ETA) becomes more reliable as the shipments get closer to the consignee. Departures and deliveries are estimated due to government exams, weather patterns, and other unpredictable occurrences that may affect your shipment. calculating the delivered costs such as Customs duties, cargo insurance, crating, international transport, etc. After the seller and the buyer agree on the terms of the sale, and the goods are ready to ship, WELCO helps you with the remaining processes. After we have all the required information, WELCO manages your account daily, to ensure smooth and continuous Services. New clients say they can only get their questions answered by WELCO. WELCO will take the time to explain the process. We take care of everything and keep you advised. Work with an expert that knows the most about your type of goods and ensures the Air Imports & Ocean Freight, Customs Clearances, and Deliveries throughout the USA are done right. Enjoy a one-to-one, single point of contact, for streamlined communications and results. Have the time to do your business, instead of following up and worrying. WELCO keeps you advised and updated. We follow your shipment from start to finish making sure everything is done right. Choose to work with WELCO. The client's satisfaction is the goal of every shipment. WELCO works with Air Imports, Ocean Freight, flat-racks & flatbeds, Full Container Loads (FCL), and Less than Container Loads (LCL). We arrange reliable deliveries to the final consignee. Please confirm the following information, and WELCO will arrange your door deliveries. Have your products protected for the full value. The standard liability limit for international cargo seldom covers the value of your goods. Air carriers' liability does not exceed US$20 per kilogram of actual weight. 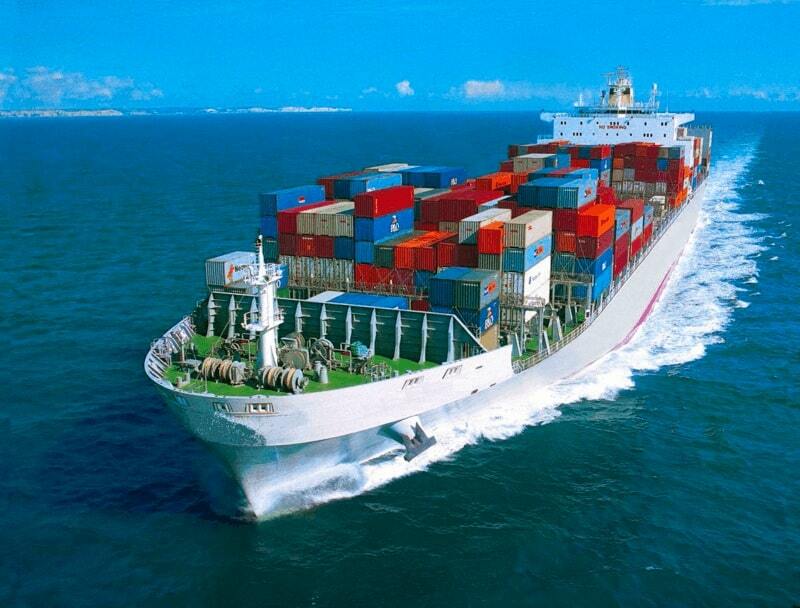 Ocean carriers limit their liability to US$500 per shipping unit, usually the shipping container. We handle all the paperwork for you, from filing the application to issuing the certificates. If you want additional coverage for your shipments, WELCO can arrange for your cargo insurance to cover the full value of your goods. WELCO International Services, Inc. is licensed as a Customs Broker by the United States Department of the Treasury (serial number 21652). WELCO International Services, Inc. is licensed by the United States Federal Maritime Commission (FMC) as an Ocean Transportation Intermediary (OTI) freight forwarder and Non‑Vessel Operating Common Carrier (NVOCC) under FMC OTI license 023299NF. © 2018 - WELCOinternationalServices.com | WELCO International Services, Inc. All rights reserved.